Want to experience Tuscany by riding the famous Strade Bianche (white roads)? 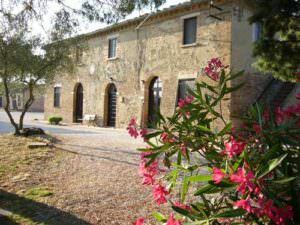 We are now offering guided Tuscany off-road & gravel bike tours in a fashion very similar to our self-guided tours – YOU name the dates of the tour. The below itinerary follows the longest course of L’Eroica, the famous vintage bicycle ride that attracts thousands of cyclists from all over the World : 205 km. – half on unpaved roads – across some of the most spectacular gravel roads of Tuscany, Chianti, Val d’Orcia and Crete Senesi. The 100 km of unpaved roads make it a real challenge for a vintage road bike, but at the same time ideal for this 6-day mountain bike tour. A stunning way to combine a beautiful vacation with the passion of cycling, this tour is being led by our long-time Tuscany guide, Bruno Baldini. A native of Florence with a passion for the mountain bike, he knows every trail in the region like the back of his riding glove, and loves sharing his favorites. This is a guided tour, so Bruno will be with you the entire way. In true OBT style we have put together a tour that is not too intimidating. The rides will be challenging, but don’t worry about hour after hour of technical single track. These trails and roads have been selected to challenge, but not break you. Rental bikes are available. All breakfasts and dinners are provided. Lunches are on your own, which you can enjoy finding in the small villages and cafes along the way. See full itinerary below. We can customize as you wish. 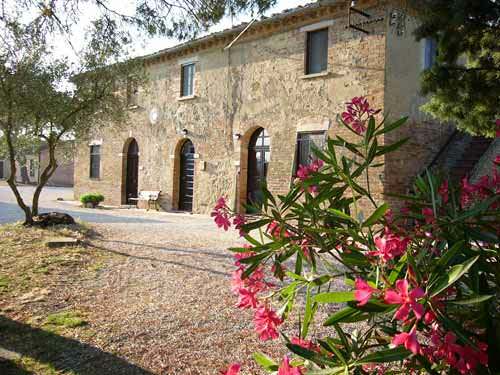 To see more about all of our Tuscany bike tours CLICK HERE. Type of riding: Hilly with gravel road sections. Mountain Bikes: Our rental mountain bikes are hardtail with a front suspension. Perfect for the white roads if you’re not racing! Reach out to us if you’re interested in a road bike on the white roads. We have options. Also, ask us about Road bike options. Day 1: Transfer from Florence to Gaiole in Chianti then ride to Siena – 42 km (8 on unpaved roads) – total vertical: 650 m.
Ride across the vineyards of Chianti to the medieval city of Siena, passing the imposing castles of Meleto and Brolio. First stage of this bike tour begins with an easy climb on asphalt road towards the castle of Brolio with a short detour to the evocative castle of Meleto. A scenic gravel road through the vineyards of Chianti Classico will soon follow the picturesque ridge of rolling hills towards the famous medieval city of Siena. During the second part of the ride we’ll be riding a detour to the Monument of Montaperti, a scenic spot in the Senese countryside commemorating the bloodiest battle fought in medieval Italy with more than 10000 fatalities (mentioned even by Dante in his Divina Commedia). Day 2 : Ride to Buonconvento – 41 km (18 on unpaved roads) – total vertical: 300 m.
Today’s ride is along the picturesque rolling hills south of Siena with stunning openings over the Val d’Orcia. Riding out of Siena L’Eroica course will soon follow the ridge of scenic hills covered with green meadows with spectacular views over scenic Val d’Orcia, (recently declared World Heritage Site by U.N.E.S.C.O. 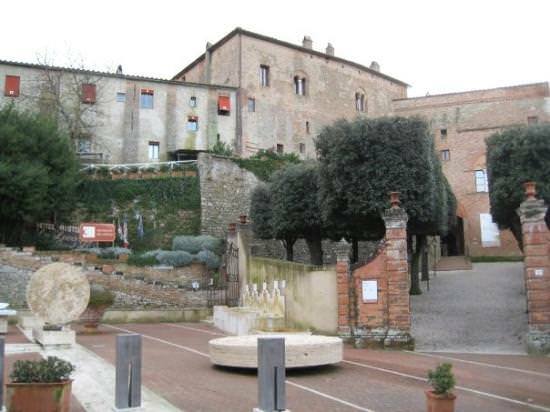 ), During the second part of the ride we’ll be visiting the cosy medieval hamlet of Murlo before reaching the medieval fortified village of Buonconvento. Day 3: Ride to San Giovanni d’Asso – 51 km (30 on unpaved roads) – total vertical: 800 m.
Pedal across the vineyards of Brunello di Montalcino to the scenic Crete Senesi passing the hilltop medieval town of Montalcino. 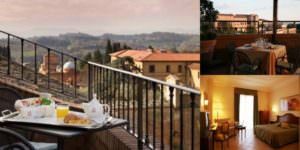 Third stage of this bike tour starts with a gradual climb to the scenic medieval hilltop village of Montalcino. Riding across the vineyards where the worldwide famous Brunello di Montalcino wine is produced, we’ll eventually reach the village of Torrenieri. From there we’ll be cycling along the picturesque rolling hills of Crete Senesi to the beautiful medieval village of San Giovanni d’Asso, also known as “The City Of Truffle”. Day 4: Ride to Asciano – 38 km. (19 on unpaved roads) – total vertical: 300 m.
Ride across the scenic Crete Senesi to the village of Asciano Riding the gentle ridge of the hills L’Eroica returns to Buonconvento and then follows the Arbia river valley for about 12 km. 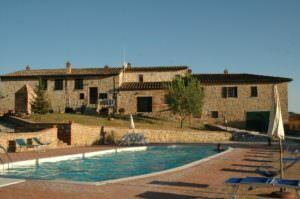 northwards before entering the Ombrone river valley to the beautiful village of Asciano. Day 5: Ride to Vagliagli – 42 km. 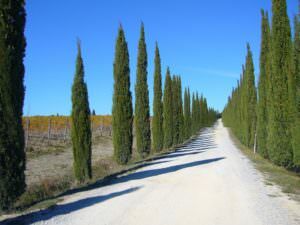 (20 on unpaved roads) – total vertical: 800 m.
Pedal from Crete Senesi to Chianti Classico passing Castelnuovo Berardenga and Pievasciata After 20 km. of gentle rolling hills across the Crete Senesi region, L’Eroica enters the so-called Chianti Senese, (the southernmost part of Chianti) at the beautiful medieval village of Castelnuovo Berardenga. 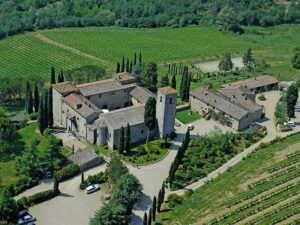 From there scenic ups and downs across the vineyards to the picturesque medieval village of Vagliagli. Day 6: Ride to Gaiole in Chianti – 41 km. (16 on unpaved roads) – total vertical: 900 m.
Ride across the vineyards of Chianti Classico to the starting point of the tour passing the medieval hilltop village of Radda in Chianti and the evocative medieval hamlet of Vertine. 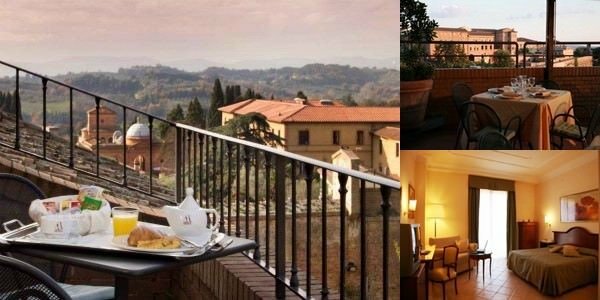 Last stage of this tour begins with an exciting downhill across the vineyards followed by a gradual uphill to the medieval hilltop village of Radda in Chianti, a stunning panoramic spot over the hills of Chianti Classico. 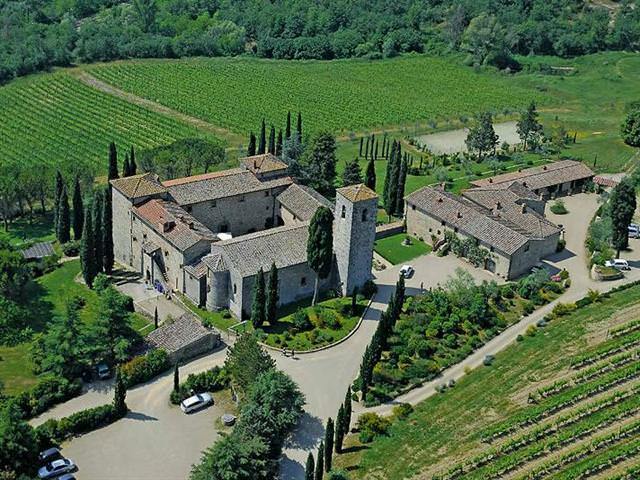 From there a scenic downhill on gravel road among the vineyards will lead us to the cosy medieval village of Gaiole in Chianti, (starting point of this bike tour), passing the evocative medieval hamlet of Vertine.